Structure — 24 units including a 30 MW hydro plant. Core activity — electric power generation and sales in the wholesale market; delivery of heat to consumers in Energetik. Distribution — Iriklinskaya TPP delivers its power over 500, 220 and 110 kV lines. It uses fuel oil as its backup fuel. On June 8, 1962, the government decided to build Iriklinskaya TPP and Energetik township in Orenburg Region. The first 300 MW power generating unit was commissioned on November 7, 1970. The second unit was launched on December 31, 1970. After the remaining four units were launched between 1971 and 1974, the first 1800 MW stage of TPS was fully commissioned in 1975. Unit 7 was launched in December 1978, and on November 17, 1979, TPS expansion program was completed with the launch of Unit 8. 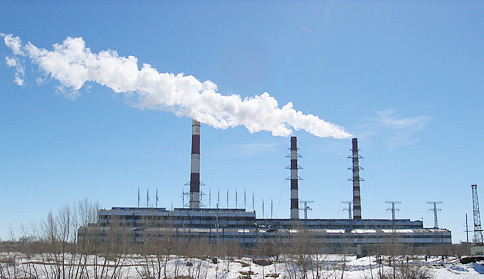 In 1985, the State Commission signed Acceptance Protocol for the 2nd stage of Iriklinskaya TPS and Energetik township. Since October 1, 2006, Iriklinskaya TPS is a subsidiary of OGK-1.